The Central Coast Amateur Radio Club has been operating for more than 50 years and currently has over 60 members. We own our own Club Rooms on leased Crown land at Kariong and have a Crown permissive occupancy over our site at Somersby where we have a transmission mast, a separate pole site and a secure equipment building. The club meets for its business meetings on the first Saturday of the month at 13:00 at the Club Rooms Dandaloo Street Kariong. A monthly lecture or other activity is held each third Saturday of the month at 13:00. A project development group meets at 10.00 each Saturday. The Club Rooms and well equipped radio shack are open from 10.00 each Saturday for a wide range of radio activities. All visitors are welcome. 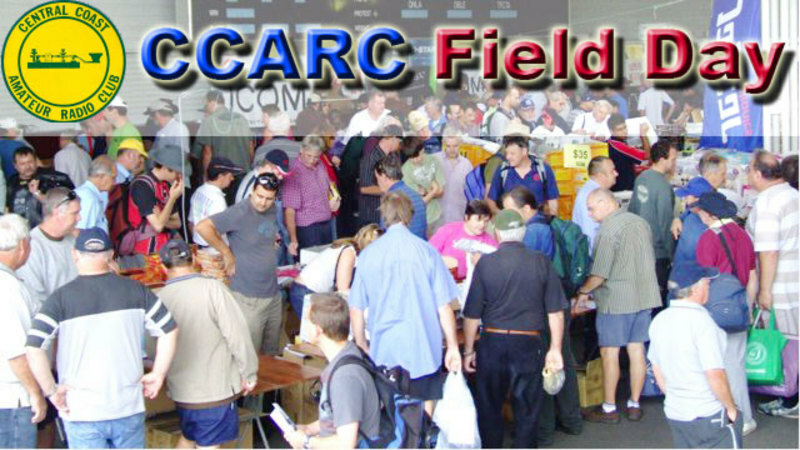 The Central Coast Amateur Radio Club Field Day at Wyong Racecourse is held on the last Sunday of February each year and remains the largest gathering of Radio Amateurs in the southern hemisphere. Full details of the field day are posted on the clubs website well before the event. Repeaters for FM, ATV, IRLP, APRS, D-STAR, APCO25 and packet are provided by the CCARC for all amateurs to use while on the Central Coast covering bands from 6m to 23cm. Full details can be found on the clubs website. 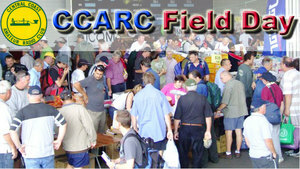 Please check the club calendar (at www.ccarc.org.au ) for a list of upcoming events. The CCARC run one day foundation licence courses with the exam on the same day on an "as required" basis. Standard and advanced tests can also be taken at the club rooms on these days. These training and examination days take place on a Saturday so long as no other event is scheduled to use the club rooms. Please contact the CCARC education officer for dates up upcoming courses and tests. The current Education Officer is listed below and all further information can be found on the clubs website.